It has been busy for my new Chicago Metallic Mini Cheesecake Pans since they arrived just before the long weekend. So far, it has produced 48 mini cheesecakes in a span of 3 days. As it was too much cheesecakes to consume, I decided to invite some friends over as part of road-testing the pans. 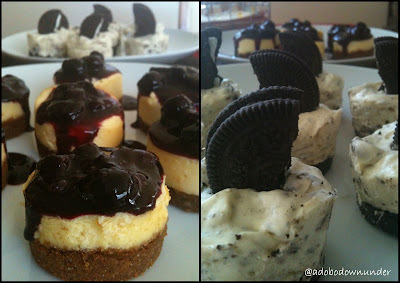 I was not surprised the cheesecakes turned out well - two varieties of mini cheesecakes over the weekend. Who wouldn't want to share in a treat as a finish to the NSW long weekend? I've used my previous recipe post for the Oreo no-bake mini cheesecake, but had extra base and cake so made an extra one using a Willow mini pie tin. 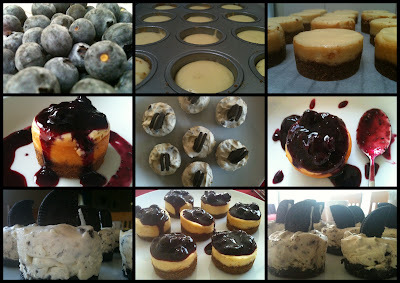 For the blueberry topped cheesecake, I used the recipe printed on the mini pan's box. It was simple and quick. The blueberry topping was from the recipe of the NY Cheesecake I posted awhile back. Pre heat oven to 175* C. Lightly grease the pans or use non stick spray. Mix the ground graham crackers (or nuts if you're using) with the melted butter and sugar. Scoop 1 to 1 and 1/2 tbsp evenly among the 12 cups and press with a small dessert spoon or with your thumb. The crumbs should cover about 1/3 up the sides of the cups. Using a hand-held mixer of stand mixer, cream the cheese and sugar together. Add the egg, vanilla and thicken cream and mix until all together. Scoop 1 tbsp each of the cheesecake batter into the cups. Remove from oven and place on a rack and cool for 20 minutes. 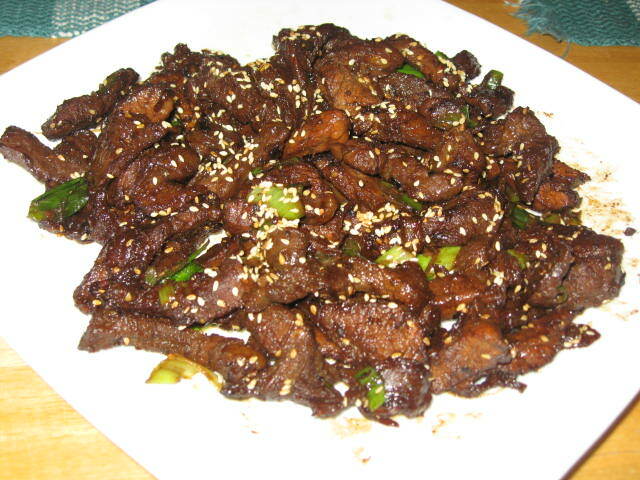 Serve with your favourite topping! We took advantage of the blueberries which were on sale at the fruit shops for $3 a punnet! I can't wait to try on other toppings with these pans! Thanks to Bakers Royal which I found though Pinterest, for pointing me to the Chicago Metallic Mini Cheesecake Pans. While my Oreo cheesecakes don't look as attractive, I think I did justice to the cheesecakes with the taste! PS - The B&W photo above is making its way to Week 13 of The Well-Seasoned Cook's Black and White Wednesday! Sweet, shiny, and seductive - exactly what you'd want in a fruit covered cheesecake. Thank you, Anna, for your BWW photo.